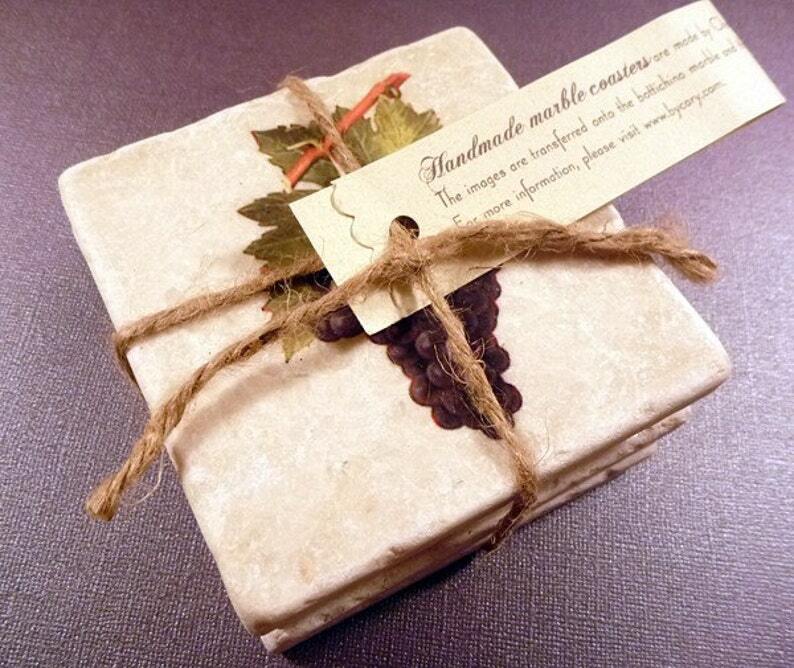 These coasters are made from tumbled bottichino marble and are each approximately 4 x 4 in size. The image is printed onto the tile and is etch proof. Each coaster is backed with cork to prevent scratching. One of each vintage grape image per set as shown. The set of 4 is a great gift for yourself or a friend.